In court on Friday, Deborah Monroe, the wife of slain Uber driver Jeffrey Monroe, unleashed her fury on the twice-deported illegal alien responsible for the death of her husband as well as Indianapolis Colts linebacker Edwin Jackson telling the guilty that she was "empty inside" and ridiculing his 16-year jail sentence claiming that justice was not served. Despite the guilty's previous immigration history, the prosecutor in the case argued that this incident highlights the dangers of drunk driving, not illegal immigration. Manuel Orrego-Savala, an illegal alien drunk driver, killed Indianapolis Colts linebacker Edwin Jackson as well as an Uber driver named Jeffrey Monroe in February in the Indianapolis area. According to the Indy Star, he was arrested after "he crashed a Ford F-150 pickup truck into a vehicle stopped on the shoulder of I-70. His blood-alcohol content was nearly three times the legal limit." While on his drunken joyride, he hit Monroe and Jackson. At his sentencing on Friday, Monroe's widow declared that Orrego-Savala was "a drunk, a liar, a murderer, and a coward." "You didn't even have the decency to pull his dead body from the road before you ran," she added. "He was my everything. He was the love of my life...Every time I go by there, I see his blood on the road..I'm empty inside." But, Monroe also said at one point she was "almost ready to forgive" the guilty. But, she said, "Then I read the autopsy report. I will never, never forgive you." Also in the courtroom was Edwin Jackson's mother, Mary Ellen. "Our hearts have been ripped apart and are always missing a beat now. We pray for justice from the courts," she said. "Edwin was a lighthouse. His character was unwavering." For his part, Orrego-Savala begged for forgiveness in a written letter. "I can't believe I've done this to another person...Please, God, forgive me...Please I was not trying to kill or hurt anyone. I ask the family — the courts — and God to all please forgive me." Orrego-Savala was previously arrested in San Francisco in 2006 and then deported in 2007 for being in the country illegally. 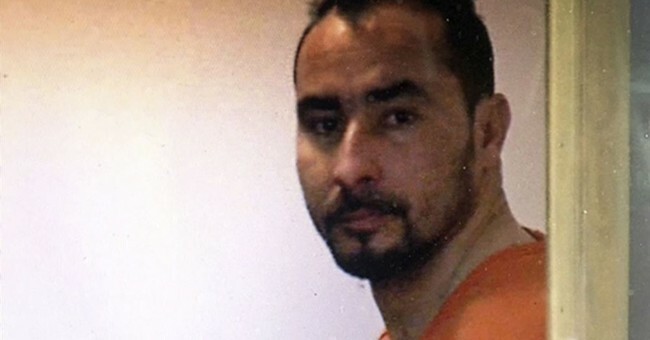 Not long after, he was again arrested in the San Francisco area and deported in 2009. It is unclear when he came back into the country. Orrego-Savalo also blamed the distance and separation from his family as the cause of his excessive drinking. "I'm hear (sic) in the US trying to make money to send back to my family in Guatemala," Orrego-Savala wrote to Judge Hawkins, who presided over the case. "It's a really pore (sic) country. And I got mix (sic) up with drinking thinking about my family miles from home." According to the Indy Star, Judge Hawkins responded by saying, "What bothers me most, is he kept going. That's what makes it worse." Likewise, Hawkins added that while Orrego-Savala may have "come to this country to helps his family... he either brought bad habits with him or he developed them while living here." Orrego-Savala will serve 16 years in jail, 8 for each death. which is the maximum sentence allotted for drunk driving deaths in Indiana. His sentence will be sevred consecutively.